Tom Burrell established Burrell Communications in 1971 and led the company through 2004. Burrell, known as the leading marketing communications firm, is noted for its expertise in reaching African American and urban youth markets. By recognizing the unique qualities of the African- American consumer market, Tom spearheaded some of the most memorable campaigns in advertising history. A reel of Burrell’s Advertisements for Coca-Cola is currently archived at the Library of Congress for its historical significance. An award-winning adman, Tom retired in 2004, rewiring his career to become an author and lecturer focusing on media, pop culture, social sciences and American history. His highly acclaimed book, BRAINWASHED: Challenging the Myth of Black Inferiority, sparked a lively and international conversation on the powerful role media messaging plays in effecting attitudes and behavior. BRAINWASHED received many notable reviews including being named one of the “65 Greatest Books About Race” in Ebony Magazine’s 65th anniversary issue. Tom has garnered numerous prestigious awards including his induction into the One Club Hall of Fame (2017), the American Advertising Federation’s (AAF) Advertising Hall of Fame (2004), and the New York Festival’s Hall of Fame (2012). 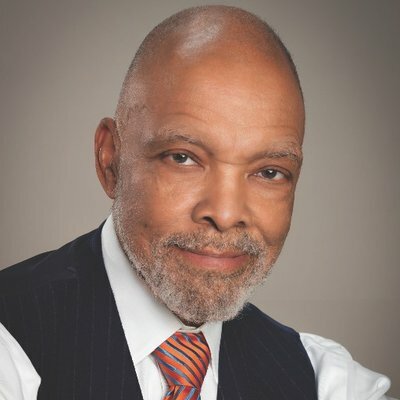 He was awarded accolades including Advertising Person of the Year, the coveted Albert Lasker Award for Lifetime Achievement in Advertising, DuSable Museum’s HistoryMaker Award, and the Missouri Honor Medal for Distinguished Service in Journalism. Advertising Age named Tom one of “50 Who Made A Difference” in its special issue, “50 Years of TV Advertising.” In “The Advertising Century,” issue, the publication designated Tom among the “Top 100 Advertising People” who have shaped the course of advertising history. Legally blind since the age of 27, Tom was presented with the Chicago Lighthouse for the Blind’s Lifetime Achievement Award in 1998.